With tax season in full swing, accounting offices everywhere are gearing up for a busy few months. While it can be difficult to focus on anything else other than the influx of clients and analytics, a paperless tax office can actually lessen the pressure of running an office that never sleeps. If your accounting office has yet to adopt a digital file storage process, it’s time to rethink your strategies and understand that your current process may be causing you more stress than you need. Here are some reasons why a paperless tax office is the ultimate stress reliever this tax season and beyond. 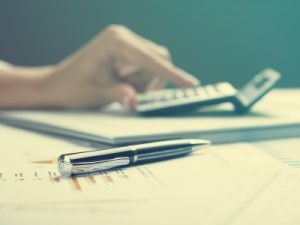 Accountants are not spared from strict state document retention laws, and with the IRS involved it’s that much more crucial to play by the rules. Documents that must be retained are usually stored in file cabinets, which can become a burden to manage over time. Not only can physical document storage become bulky, but there’s always the chance that a client’s tax document can go missing among a sea of other filed papers. Scanning documents into digital files can keep confidential documents safe from harm (like misplacement and natural disasters) and can always be accessed when needed. When working with delicate documents such as tax records and other IRS related documents, it’s worth seeking the assistance of a document scanning professional to safeguard a very pivotal part of your business. Tax season is chaotic. The added stress of maintaining organization while seeing numerous clients will only elevate that chaos. This can easily be avoided with digital document storage. The time involved in searching for the tax records of numerous clients can really cut into productivity. By scanning documents, you could maximize your time by accessing documents in seconds. Recruiting the assistance of a document scanning company to digitize your documents can also give you access to document indexing services as well. Our company offers this service to help our accounting clients search for documents the second they need them. Imagine how efficient tax season would be if you can search for a client’s tax records mid-meeting without the need to pause and search? No client would enjoy walking into an office with stacks of boxes everywhere. The idea of visiting an accountant for the first time and seeing a mountain of paperwork covering his desk just doesn’t lend the air of professionalism you think it does. Taxes are a pretty delicate manner, and the way your office looks to new and current clients is just as important as the quality of your work. By scanning your documents, it can improve the appearance of your office. It can actually help decrease stress for everyone in the office, and that’s a plus during tax season. Document Scanning LLC helps Accountants nationwide with their document scanning needs. No matter how deep into tax season you may be, our services will help you transition into a paperless storage platform with little interruption to your everyday processes. We’ll even schedule a pick up for your documents, so all you have to do is to provide the documents you want scanned and we’ll take it from there. Avoid tax season stress by seeking the help of a scanning company that keeps your tax documents safe and easily accessible. Contact us today at 954-271-0118 for a free scanning quote and start your tax season stress-free.